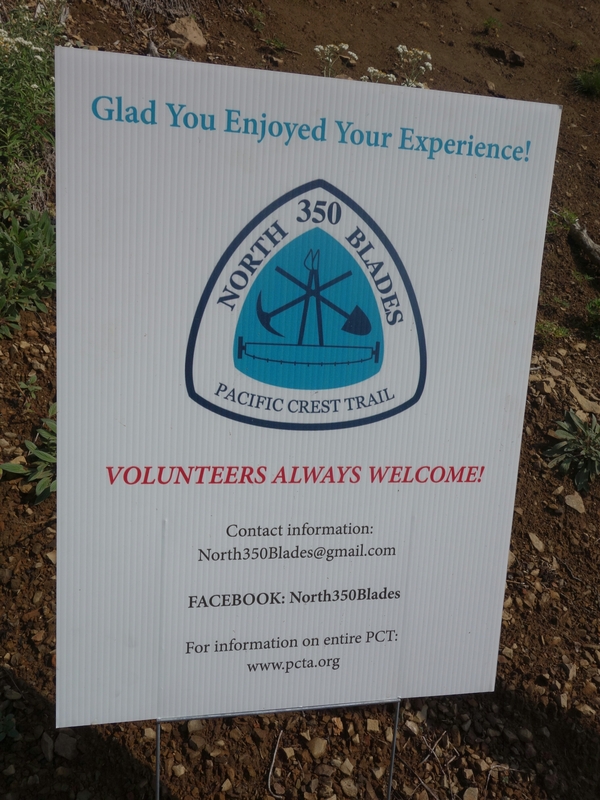 Today we met a trail crew of the famous North 350 Blades. 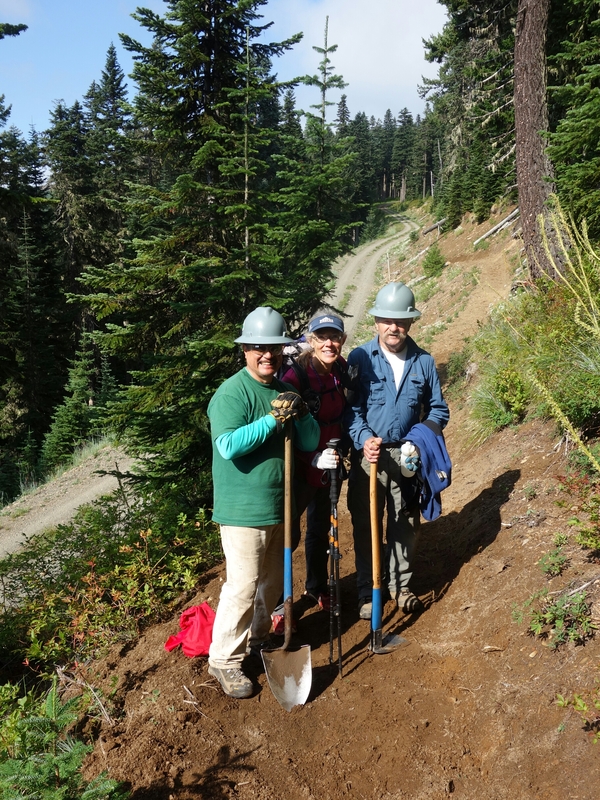 7 volunteers were just finishing 4 days of clearing and brushing 1 mile of trail. The crew was led by Bigfoot Jim & Dona who I had met at kickoff in 2010. Mile 2362 was fun to hike.. thanks guys. 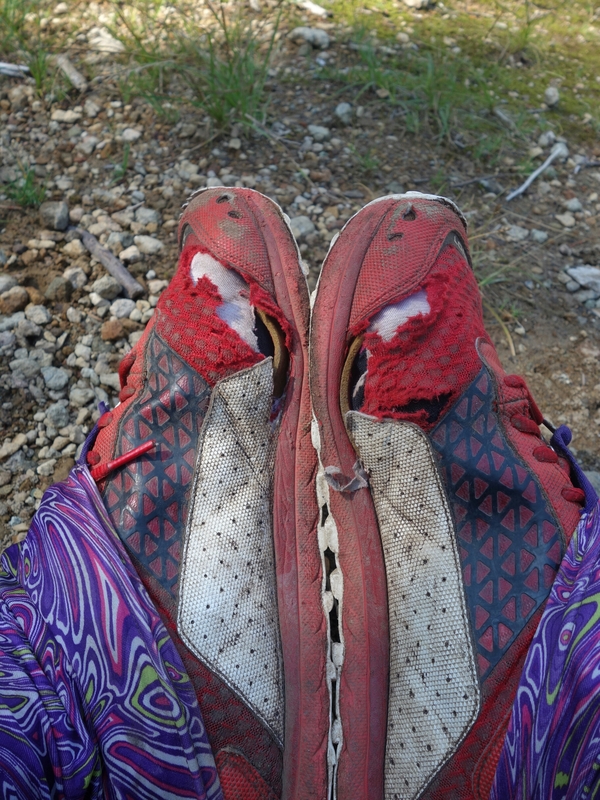 I need new shoes. 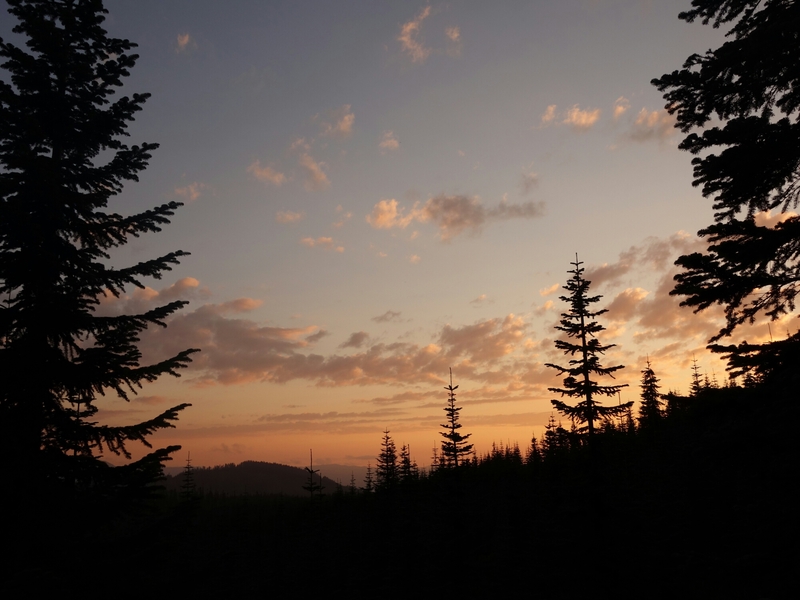 They should be waiting for me at Snoqualmie Pass. We are camped on an old road. The humidity immediately resulted in condensation on the inside of the tent. Hate that. But the sunset was nice.